At Aberdeen Dental, we are proud to offer a variety of preventative, restorative, and cosmetic services. With a range of services, Drs. Pita Dhaliwal and Kevin O’Shea in Vernon cover family dentistry services as well as orthodontic and oral surgery needs. As family dentists, Drs. Dhaliwal and O’Shea offer services to meet the whole family’s needs beginning shortly after the first tooth erupts through adulthood. Patients develop a level of comfort with their dentist through routine exams. As dental issues arise, patients feel at ease, seeing a familiar face. 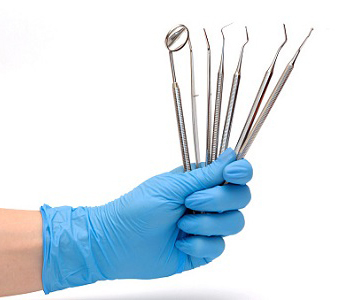 Preventative care – Having a good oral hygiene routine is an important part of dental health. Brushing, flossing and regular dental visits are part of a patient’s preventative care. Routine dental exams help to prevent, assess, and treat problems as they arise. During regular exams, teeth cleanings and x-rays are performed to check for issues such as gum disease. Cosmetic – Straighter, whiter teeth are desired by many and can be achieved with the help of a cosmetic dentist. Cosmetic dentistry services include teeth whitening, crowns, veneers, and dentures. Cosmetic services now extend beyond the teeth to the face as well. Patients who have concerns about fine lines and wrinkles may be interested in Botox. Orthodontics – Orthodontic care is an important part of dental health. Straighter teeth are healthier teeth. Aberdeen Dental offers Invisalign and Fastbraces as alternatives to traditional braces. Oral surgery – Oral surgery may be needed for a variety of reasons, including an abscessed tooth, wisdom tooth extraction, gum disease, and more. Drs. Pita Dhaliwal and Kevin O’Shea of Aberdeen Dental are proud to offer many dental services. Whether you are looking for a family dentist or have restorative dental needs, contact Aberdeen Dental today. Call (250) 545 3319.